Conversion ski or 750 sxi pro?? I recently bought a brand new kawi 440 and started tracing parts for a conversion ski with 140mm pump. I have already a full rhaas pump conversion kit, tubbies and a 650 ported motor which was initially intended to go to this ski. Missing some parts but I am not in a hurry for this ski. I have previously built two conversion skis, one 550sx with 650 motor (550 pump with 17 pitch prop) and one 440 with 650 motor(440 pump with 17 pitch prop, bulkhead brace etc). 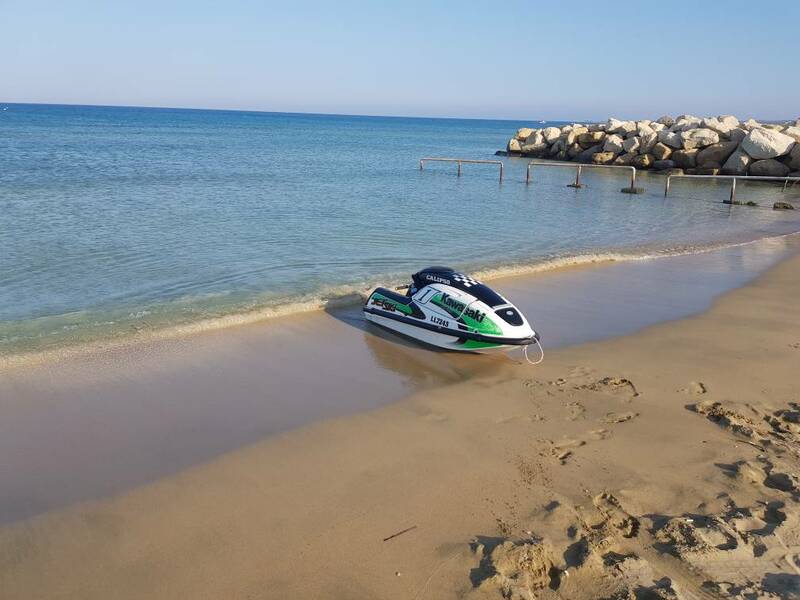 A 750 sxi pro appeared on the local ads and went to have a look with the intention of buying parts for the conversion ski. Finally I bought the complete sxi pro and a lot of other parts, including a second 750 motor in parts, an sbn44, a riva carb, a RN SJ handlepole, several 650 and 750 intake manifolds, top loaders etc. The sxi pro has been fully built by the previous owner, has all sorts of aftermarket parts on it but is in need of some TLC. The motor has a fresh crank and pistons. I tend to get very meticulous with my skis, so this would mean total dismantling of the ski for inspection and putting back everything together with new turf, seals, bearings, cables, maybe also fresh paint. No evident fiberglass work is required on the hull, it seems to be in very good condition. The hood on the other hand will need some work. I am away from home now in Hong Kong for work and didn't have time to ride it. Final question is this, I know how a conversion ski handles and I like it, I have never tried one with a big pump and that was the initial intention. Is the sxi pro so much better in handling that it would be better to keep it as it is and fix it or I would be better off parting it for my conversion ski ?? I finally returned from Hong Kong yesterday and went straight to the sea to test the 750. It is much heavier than the js and you can feel it but it is much more stable. I have read for porpoising issues but had none, if you put your weight forward it hooks up and goes. It already had hull extensions, long worx carbon ride plate and worx top loader. The power and feeling when this thing hits the pipe is crazy! It just goes airborne and shoots forward. I don't know what kind of porting has been done to the cylinders, I will dismantle it anyway to check the condition and replace gaskets, seals, piston rings. However, i think it needs adjustment on the pipe screws as it has a on/off operation. You are either going slow or trying hanging on the ski. There is also some play on the handlepole bushings that makes it feel weird at high speed. I tried to check the top speed but couldn't do it, it was a little choppy and it was getting really hairy at some point. Decision is made, i will tear down the 750 completely for a rebuild and also build the conversion ski. I might have to sell my X2, my wife will eventually kill me with all the toys in the house.. In the box with parts for the 750, I found this carb. It is like an sbn, measures 48mm on the bottom, all billet body with a buckshot style modification. Only low jet was inside and that was 140, maybe it was previously reverse jetted for some reason. Also, there is no primer fitting on this carb. Looks like a billet bodied Buckshot? Not cheap. Nothing flies & bounces off waves/changes direction like a 550......I'd keep the sxi intact & mod the 440 hull/engine myself. I have never ridden a js hull with a 550 motor. I had previously built two 650 conversion skis, one with 550sx driveline/pump and one with 440 pump. The 440 I got now is all stock, I have only used it for a couple of hours. It has a really light feel compared to the conversion skis but it is very slow. The 750 will remain as it is but will be fully dismantled for new bearings, seals, gaskets and paint. The plan for the 440 is another conversion ski. I already have a rhaas pump conversion kit but still gathering parts for it. I have a ported 650 motor and a 750 for spare, not yet decided which one will go on this one. The 650 with porting will probably fix that 'heaviness' I felt on a 650 conversion years ago. It had a Westcoast pipe & that was all. Only other tweaked 650 I rode was heavy on modifications & would rock on the V in the original 650SX hull as it gained speed. With a Rhaas pump conversion & porting that would be one fun 440/650 hull. I just came back home from China few hours ago and started dismantling the ski. Took out pipe, motor and electronics. I took out the bottom bolts of the hull extensions and the foam seems heavily waterlogged, everything is wet inside. I hate doing a refoaming, I have done it many years ago on a 650sx and hated it. Having second thoughts on the 750.. I managed to tear down almost everything. The previous owner didn't like to wash his ski after the sea, that is certain. I have a 750 big pin, not ported, r&d o-ring head, hot rods crank, cast pistons with 40mm sbn mikunis. The bottom of the crankcase has been previously repaired, both cylinders are at 80.7mm, ovality is 0,2mm both holes. The crank seems not to have a lot of hours, bearings feel good but needs a rebuild. Front rod play is 1,26mm, aft rod play is 0.55mm. It seems like it has been originally not pressed in a good order. Also there too many casting flaws on these cylinders. I am not certain if I will use these cases, but replacement parts like that are very hard to find here. New +1mm pistons will be ordered tomorrow, all casting flaws will be corrected. Does anyone have porting templates for big pin cylinders(rec use, 98 octane gas)?? As per kawasaki, standard con rod side clearance is 0.45- 0.55mm and service limit is 0.8mm. This means that clearance on one rod on this crankshaft is almost as new and the other one is more than double. I have never purchased a complete crankshaft from hot rods, but this seems way off. Crankshaft bearings and con rod bottom end bearings are common for small pin and big pin crankshafts? Would love to be able to ride the ocean around Greece! Since last year I don't live in Greece, i have moved to Cyprus. The coastline here is also nice and the good thing is that now my riding place is 5min from my house. My daughter is after the X2 since we came here..
so the crank is the proper total length as it sits in the cases. The crank builder may of had to set it up that way to meet the specs for total allowable length as installed. According to the kawasaki manual one rod is spot on and the other one has exceeded the service limit by 0.4mm. This is a hot rods crank with 5-6 hours of use. This 750 hull is hiding even more surprises. All the front piece connecting the driveshaft tube to the bulkhead was missing and replaced with sealant. Guess I found why the foam was wet. Also received new graphics for this ski today. I went with blue and fluo yellow. This will be a long project. Even though the hull and deck are in fairly good condition with no cracks, it is by far the dirtiest ski I have worked with ( and I have saved one 550sx in the past which was sitting for more than a decade in a farm with all sorts of nests in it). And I am really frustrated with the bulkhead issue. Can anyone send me a photo of how it originally is without the bearing carrier? Did a little work on the js hull these days. Finally my order arrived and replaced the turf.